Heeeellllooo sweet Margie,maybe you know me... Your Creations are sooo amazing !! I have send you on FB a friends request with my 'fake-Account' Aurora Zottel.. 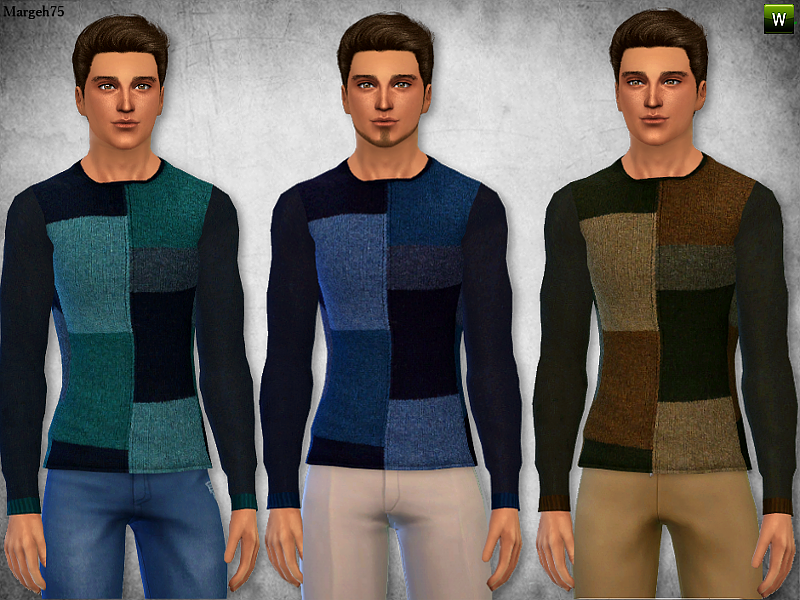 Very nice sweater for my Sims! Have a nice day! I love your patchwork, lovely! Oh my gosh I used to LOVE the Sims!!!! I have actually been really wanting to go and buy it again because I loaned all my discs out and friends lost them all.. I was gutted! Definitely want to stop here once I've got the game again because it seems like the possibilities are endless here!! Thank you for igniting that old spark for this awesome game! !